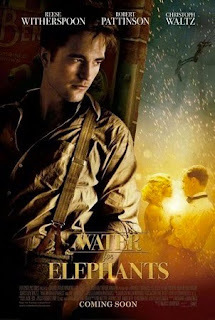 Water for Elephants by Sara Gruen [F GRU] was wildly popular when it first came out in 2006. Its popularity had waned over the past two years, but recently it has begun to pick up again. Could it have something to do with the fact that the filmed version is due out on April 22? We own two copies of the book, so there's a good chance you can get to read it before the movie comes out. Once the movie opens, all bets are off! Twilight, and the others in the "Twilight Saga," New Moon, Eclipse [DVD TWI]. Sterling Publishing Company has a series of children's poetry books called "Poetry for Young People." There are at least 20 different titles in the series. We already have 17 on our shelves, and we have orders in for several of the others. Most of the books cover individual poets such as Maya Angelou [J 811.54 ANG], Carl Sandburg [J 811 SAN], Edna St. Vincent Millay [J 811 MIL], and NH's favorite, Robert Frost [J 811 FRO], while a few are anthologies such as American Poetry [J 811 AME]. There are several notable features to this series. The first is a short introduction to each poem, which may pose a question, mention the poet's background, or explain what the poet is attempting to do in the poem. The second is a glossary of words that may be unfamiliar to a young reader. The third is the striking illustrations that accompany the poems. On the other hand, though, I have one complaint, and it deals, paradoxically, with the striking illustrations. In many cases the poem is printed right over the full color illustration often obscuring the text. I would think that for a young reader, especially one who may not have strong reading skills, this would make it more difficult to read and comprehend the poem. Call me old-fashioned, but I like plenty of white space around a poem! That aside, I still recommend the series. Sara is hosting the Poetry Friday Round-Up this week at Read Write Believe; do stop by. February is National Children's Health Month, as designated by the American Dental Association. It seems a rather odd month to have it since there's an awful lot of Valentine's Day candy consumed in February, but, I guess it serves as a reminder to have the kids brush after chomping down on those solid sugar candy message hearts! For parents who are interested in statistics, there is information on New Hampshire's children's dental health available from Watch Your Mouth. This is school vacation week, so if you've run out of things to do with the kids, the American Dental Association has many activity sheets for kids that will not only keep them busy, but will provide an oral health lesson! 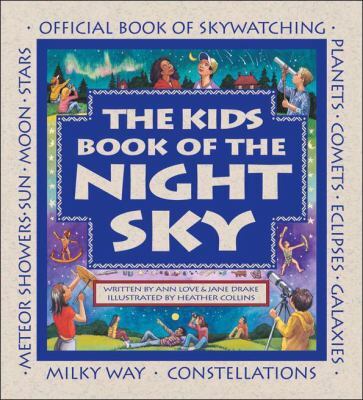 Today we have The Museum of Science presenting "Night Sky." This program features an inflatable silver planetarium, the Starlab, with a realistic projected night sky showing planet and Moon positions. Entrance to the Starlab is through a four-foot diameter tunnel! Due to anticipated demand for this fun and educational program, two sessions have been scheduled. The first one begins at 10:30 am followed by the second one at 11:15 am. Registration is required, and children must be 6 years of age or older. 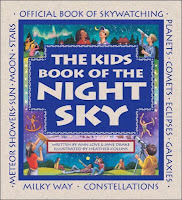 For those children who are not able to attend, we have several books on stargazing for kids, such as Starry Sky by Kate Hayden [J 523.8 HAY] and The Kids Book of the Night Sky by Ann Love [J 523 LOV]. 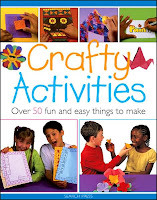 Since this is February vacation week, we have our standard afternoon of drop-in crafts scheduled for today from 1:00 to 3:00 (while supplies last). Kids will find Saint Patrick’s Day themed crafts--a door knob sign as well as a "good luck key chain" or a "good luck charm bracelet," to make and take home. In the background will be Irish music. Cookies, temporary tattoos, and chocolate Irish coins will be available for even more fun! 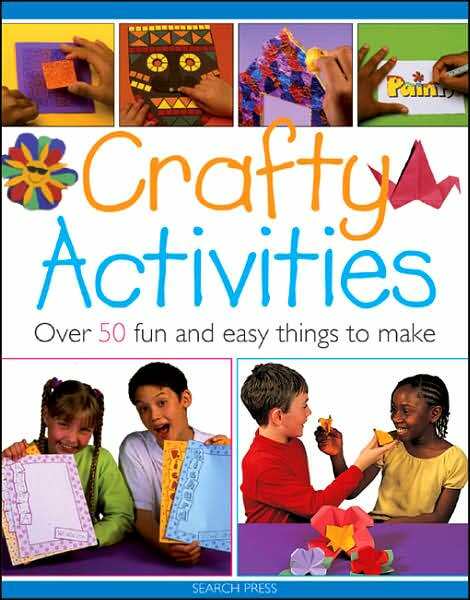 These activities are recommended for children ages 4 and up, accompanied by a parent or guardian, and no registration is required. There are at least 150 more books in the children's room with the number J 745.5--in other words, there's plenty to keep your krafty kid busy this week! Happy Birthday George and Abe! The library is closed today for the Presidents' Day holiday. It's not surprising that we have a book for kids that explains the holiday--there are many books published for children on the holidays. 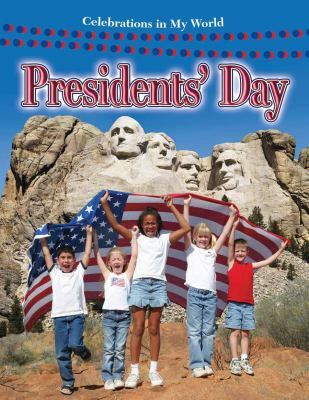 Presidents' Day by Lynn Peppas [J 394.261 PEP] discusses President's Day as well as providing information about federal holidays in general and details about Washington and Lincoln. Another book, Presidents' Day by Margaret McNamara [E MCN], presents facts about the two famous presidents in an easy-to-read format for kids who are beginning to read on their own. 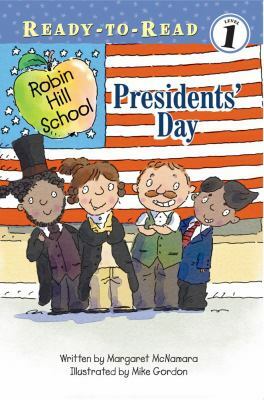 The book is part of the "Robin Hill School" series which follows a group of first-graders throughout the school year. Anne Morrow Lindbergh was the wife of aviator Charles Lindbergh. Like her husband, she was an aviator, and was the first American woman issued a first class glider pilot's license. She is perhaps best known, however, for her book Gift from the Sea [170.82 LIN], which is still in print after 56 years. Gift from the Sea is a reflective book of essays about life, and is a popular book discussion group choice. You did not need my gratitude. 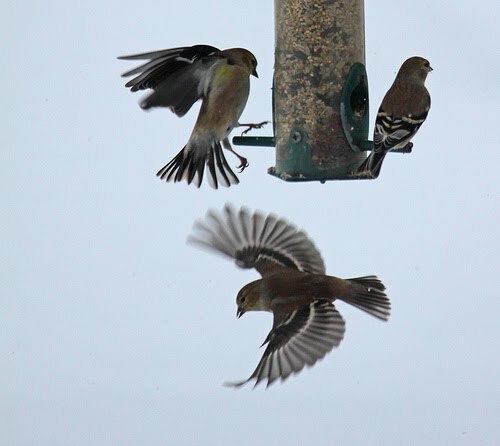 Join Mary Ann at Great Kid Books for the Poetry Friday Round-Up, then go out and feed the birds. With the money raised through a raffle of a quilt made by the group last year, the Nesmith Library Quilters were able to donate enough money to purchase books, DVDs, and a pass to the New England Quilt Museum in Lowell! The pass admits 2 people to the museum free of charge, and may be reserved online or by calling the library at 432-1754. 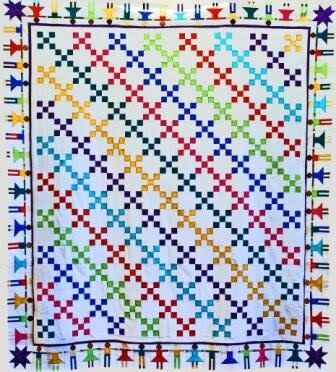 The quilt project for this year in currently being worked on and raffle tickets should be going on sale in March. The winning ticket will be drawn at the FLOW Strawberry Festival and Book Sale, which will take place on June 4. It is almost impossible to find an article about the e-books versus print books debate that does not include at least one person citing the importance of the "smell of books" as a primary reason for resisting the digital world's siren song. What about you? Do you sniff books? Will you miss the smell of books when everything goes digital? Would loss of the smell be a reason for you to not explore e-books? As I said above, books don't hold olfactory memories for me, but, I am very aware of books that do not smell normal. By this I mean books that are permeated with cigarette smoke, or the scent of mold. These smells will immediately turn me away from reading a book. I sometimes wonder if smokers have destroyed their sense of smell through their tobacco use. Navigating Smell and Taste Disorders by Ronald DeVere [616.856 DEV] may be able to give the answer. We always have a jigsaw puzzle available in our reference area for people to work on. Since we often get donations of puzzles with bookfair donations, we have an almost never-ending supply to choose from. There are several "regulars" who visit us and end up spending hours working on a puzzle! Barbara recently told me about a website where one can work on puzzles online that range from 6 up to several hundred pieces! The choice is up to you, as is the shape of the puzzle piece, for example, classic, bird, star, lizard, etc. You can sign up to receive a puzzle-a-day, too. It's worth a trip to the site just to explore the options! Jigsaw puzzles are only one type of puzzle. You can find manipulative puzzles in books such as Traditonal Wooden Toys: Their History and How to Make Them by Cyril Hobbins [745.592 HOB], word puzzles in Baseball Brain Teasers: Major League Puzzlers by Dom Forker [796.357 FOR], or, math puzzles in Professor Stewart's Cabinet of Mathematical Curiosities by Ian Stewart [793.74 STE]. There are plenty more to challenge you. Start in the 793.73 section, or for kids, start with the The Usborne Book of Games and Puzzles [J 793.73 USB]. 1. Wuthering Heights by Emily Bronte [F BRO]. 2. Anna Karenina by Leo Tolstoy [F TOL]. 3. Romeo and Juliet by William Shakespeare [822.33 SHA]. 4. Casablanca by Murray Burnett (this was originally a play, but we only have it in DVD format). 5. A Midsummer Night's Dream by William Shakespeare [822.33 SHA]. 6. Doctor Zhivago by Boris Pasternak [F PAS]. 7. Sense and Sensibility by Jane Austen [F AUS]. 8. Dangerous Liaisons by Choderlos de Laclos (this one, too, we only have in DVD). 9. Pride and Prejudice by Jane Austen [F AUS]. 10. The Hunchback of Notre Dame by Victor Hugo [F HUG]. 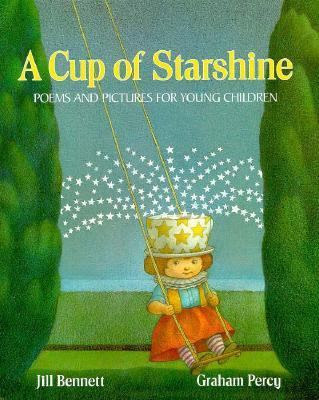 Poetry Friday--"Winter is a Wolf"
I pulled our copy of A Cup of Starshine: Poems and Pictures for Young Children [J CUP] off the shelf and it fell open to a poem called "Winter is a Wolf" by Grace Cornell Tall. no man-made cage can keep. I was curious about the poet, but was unable to find any information on her other than the fact that another of her poems, "To Pumpkins at Pumpkin Time," found in Halloween: Stories and Poems [J 810 HAL] appears to be popular with teachers. Visit Rasco from RIF for this week's Poetry Friday Round-Up. Valentine's Day often means a gift of jewelry. Sometimes, though, if you are the purchaser, you don't know the difference between a garnet and a ruby, or a between a diamond and a quartz crystal. For a quick overview of gemstones, borrow our copy of the Simon & Schuster Guide to Gems and Precious Stones by Curzio Cipriani [553.8 CIP]. Speaking of diamonds, before you go shopping for a diamond ring, bracelet, or earrings, you may want to take a look at Tom Zoellner's The Heartless Stone: A Journey Through the World of Diamonds, Deceit, and Desire [553.82 ZOE]. After reading it, you may decide that diamonds may not be "a girl's best friend"! Some people prefer vintage jewelry. 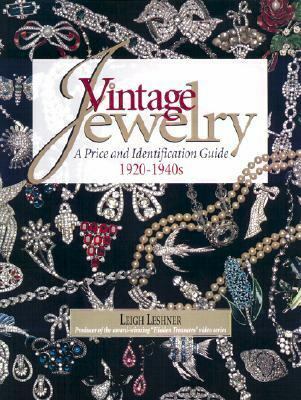 If your honey is such a person, Vintage Jewelry: A Price and Identification Guide, 1920-1940s by Leigh Leshner [739.27 LEW] might be the place to go for information on what is vintage and what is junk. 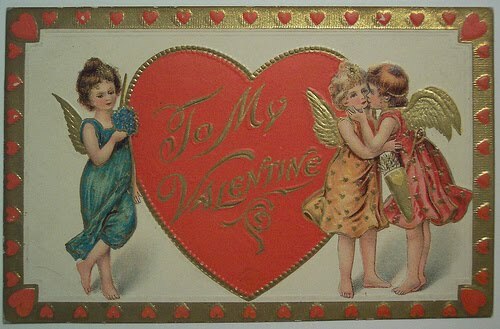 The countdown to Valentine's Day is in full swing. 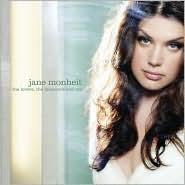 How about a little mood music? Valentine's Day is next Monday. 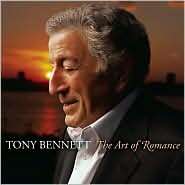 To put you in the mood, why not borrow one of these great love stories from our DVD collection? The revolution that is taking place in Egypt is both exhilarating and disturbing. Imagine what it must be like to be a child and catch some of the pictures and sounds coming out of the region! To introduce your child to contemporary Egypt, look for Egypt by Robert Pateman [J 962 PAT]. To explore the rich history of the country, we have a large collection of materials for children on Ancient Egypt, including these on the pyramids: Pyramid by Peter Chrisp [J 932 CHR] and The Great Pyramid: Egypt's Tomb for All Time by Jeanette Leardi [J 932 LEA]. Borrow the adult book, Egypt: 4000 Years of Art by Jaromir Malek [709.32 MAL], browse through the pictures, then discuss why a group of Egyptian citizens stood guard over the Museum of Egyptian Antiquities in Cairo last week. 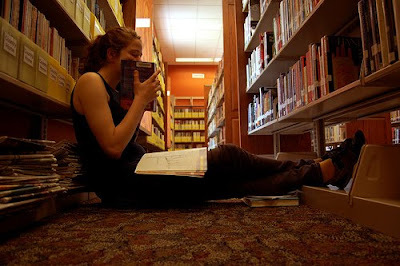 For library lovers--if you're reading this, then I assume you are one--an article that tells of young people striving to protect the library in Alexandria from looters may be of interest. If your child wonders about the man whose rule spurred the revolution, we have a junior biography, Hosni Mubarak by Vicki Cox [J B MUB]. It will, undoubtedly, need to be rewritten very shortly! 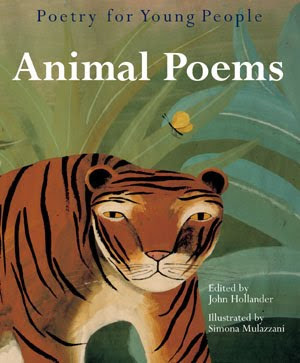 In school I was good with words and bad with numbers--that's why there are 26 poets in this book, not 25. I loved them all and could hardly omit anyone after writing all the poets cheerily to say their poems were accepted! I would rather embrace my flaws. Each poet is represented by four poems, which, contrary to the one or two poems that you usually find in an anthology, allows the reader to get to know the writer (a little). Since I'm not a big fan of teen angst, I found the inclusion of humor, nature, familial love, etc. to be a welcomed change from other collections of young people's poetry. Of course there are those poems that tear you apart, but I'm not going to share one of those with you today! the old tree's trunk, sending us both down. her limbs at last upward, away. Doraine Bennett of Dori Reads is the hostess of this week's Poetry Friday Round-Up, stop by! The British newspaper, The Guardian, featured "Ten of the Best: Moustaches" recently. One of those top ten staches belongs to Agatha Christie's Hercule Poirot. Poirot is the detective from several Christie mysteries including Cat Among the Pigeons, Death on the Nile, Funerals are Fatal, and the one that most people are familiar with, Murder on the Orient Express, all MYS CHR. There are enough Poirot books to keep you busy for months! We recently acquired a new set of Hercule Poirot DVDs, Agatha Christie's Poirot: The Classic Collection [DVD CHR], which contains 36 mysteries. One look at Poirot "in the flesh" and I'm sure his moustache will be forever imprinted on your brain! I've come across several online pieces on water over the past several weeks and thought that they are too good not to share. The first is this video. Make sure you have the sound on! Water at 718 Frames Per Second - Fastec Imaging from Tom Guilmette on Vimeo. The second is also a video by an artist whose medium of choice is water (and a camera). Water Sculpture from Shinichi Maruyama on Vimeo. Further explanation of the way this artist works can be found at NPR. Using high-speed photography, Dr. Masaru Emoto discovered that crystals formed in frozen water reveal changes when specific, concentrated thoughts are directed toward them. He found that water from clear springs and water that has been exposed to loving words shows brilliant, complex, and colorful snowflake patterns. In contrast, polluted water, or water exposed to negative thoughts, forms incomplete, asymmetrical patterns with dull colors. The implications of this research create a new awareness of how we can positively impact the earth and our personal health. So How Did Those Resolutions Go? You've had a whole month to work on them, how did your New Year's resolutions go? Since most resolutions have to do with losing weight and/or getting healthy and/or fit, today I'll do one of our periodic round-up of topical books just in case you need a little something to keep you motivated. The last time I did this was a July 2009 post called "The Eternal Search for the Perfect Diet".